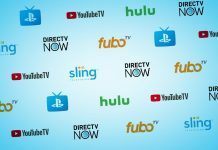 I said I was overwhelmed last week when there had been two excellent and emotional Supernatural episodes in a row, so I don’t know what adjective to use to describe where I’m at this week – because it’s now THREE episodes in a row that have been truly amazing! 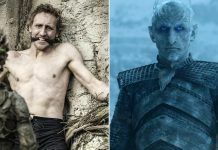 Last week’s “Prophet And Loss,” penned by Eugenie Ross-Leming and Brad Buckner, who are not always my favorite writers, continued the show’s string of wins. I guess I have to amend my opinion and say that the duo sometimes do write a favorite episode, in fact. Thank you! And thanks to Tom Wright for some beautiful direction too. 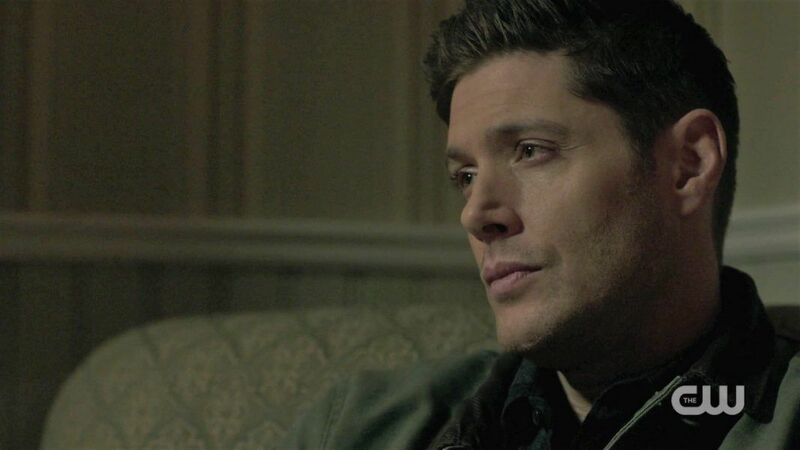 The first time I watched, I just sat there gaping and horrified, feeling the terror right along with Dean thanks to Jensen’s acting – or maybe I should say thanks to Jensen’s performance and how much he allowed himself to really go there. 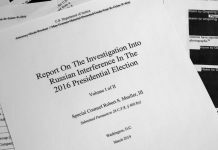 It’s so well done, the whole scene, the eerie and ominous sounds as the box creaks and the close-up of the first small droplets as it starts to inevitably crack. 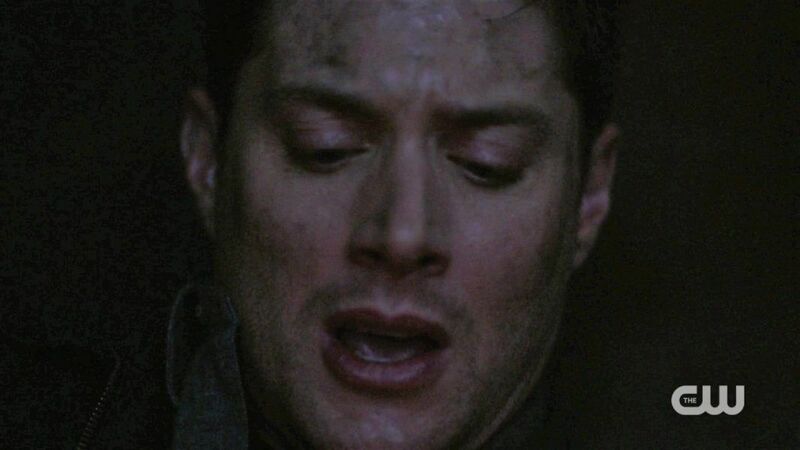 We’re close up on Dean’s face as he struggles to maintain control while confronted with a nightmare scenario that would destroy anyone, and we see every second as he starts to lose it, panic and horror taking over as he pounds and scratches desperately and starts crying out for his brother. 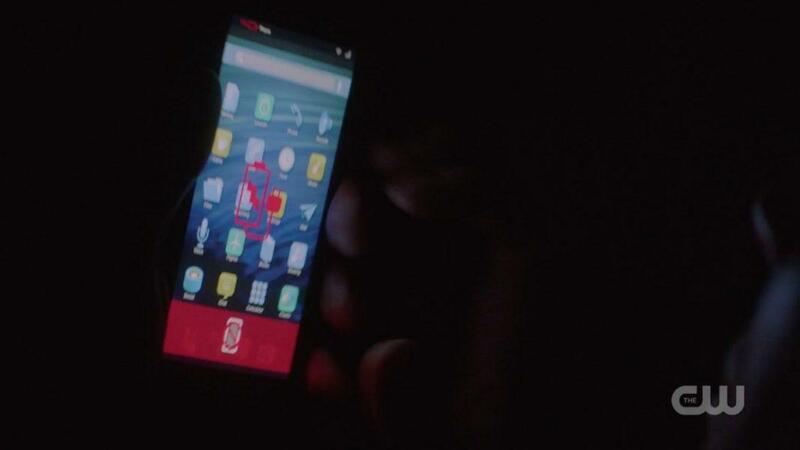 That red icon on his phone that says he can’t make the call, that he is truly alone, is so horrifying I started to cry. 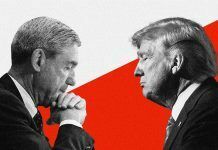 It’s like every worst nightmare you’ve ever had, and it’s happening to this character you care about so effing much and it’s just too horrible! Just like when Dean was doomed and trapped eternally in hell, he calls out for Sam again and again. 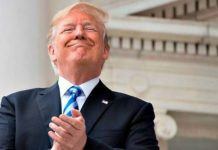 I think I had the presence of mind the first time watching to tell myself it was probably a dream, but it was so vivid and so horrifying that didn’t really matter – it could be a dream that’s about to come true after all. 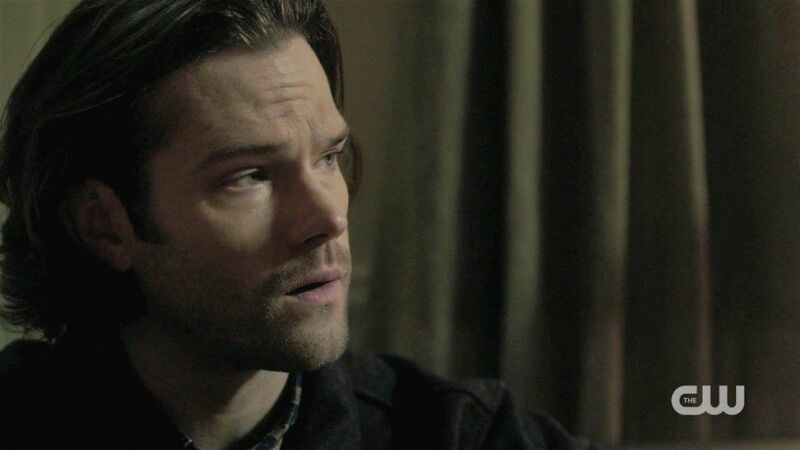 Dean wakes up with a start, fingers bloody from scrabbling at the wall, and Sam appears in the doorway, worried (no doubt having heard his brother screaming for him). 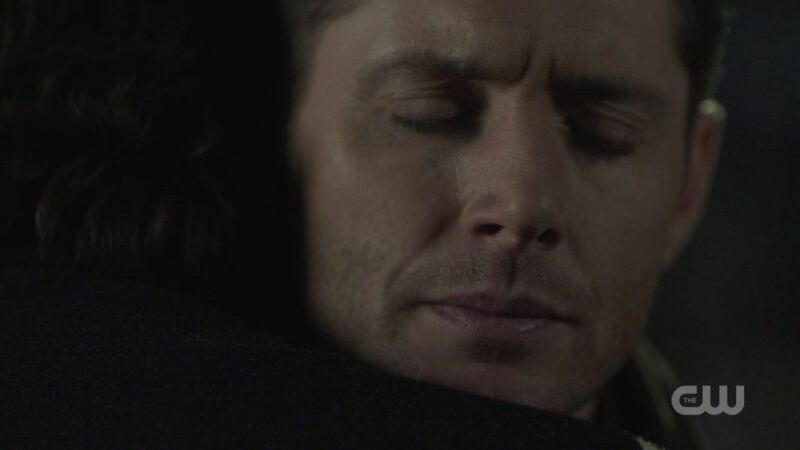 The Winchesters are soft and sleep rumpled and in their single layer sleep clothes and they both look strikingly and incongruously gorgeous and my heart just aches for them. Sam is so tender and careful with Dean, reassuring him that it’s okay to be scared, sitting on the side of the bed to talk and just be with him. Dean: Never said I wasn’t scared. But it doesn’t matter. It’s the first of many conversations that the brothers have in this episode (which in and of itself brings a high probability that it’s going to be a good one) as they go round and round, Dean stubbornly insisting there’s no other way to save the world from Michael and Sam equally stubbornly insisting that there is another way and they just haven’t found it yet. The amazing thing about this show is – I feel for both of them. 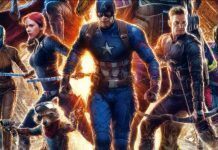 Cut to the other storyline (which dovetails in, so no complaints – or at least not the “two separate storylines argh” complaint yet). The other storyline opens on a bound and tortured woman and I’m immediately a bit sick to my stomach. The realism that makes the Show work so well in a scene like the one of Dean trapped in the box is too much for me sometimes in the ‘horror movie’ type scenes that the current showrunners seem to love. 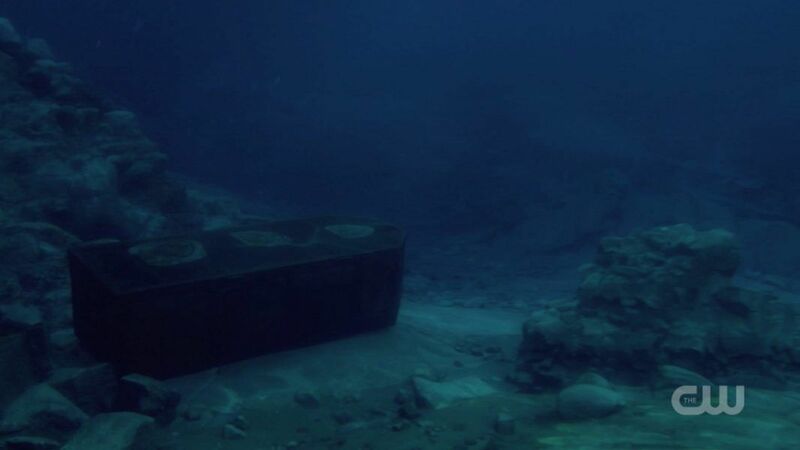 We see too much and hear too much as she gasps in pain and terror, and it goes on way too long and we have to actually watch her be cut and then drown and honestly, Show, I don’t watch for that. I know you think I do, but I don’t. I don’t need so much graphic violence to know what’s going on or to empathize with a woman who’s being tortured and killed, thanks. I’m sure there are some fans who do watch for that, and that’s fine and dandy, but I’m not one of them. I expect some horror but I don’t expect it to be so graphic that it makes me queasy. Then we’re off to the other other storyline (which does not dovetail in as of this point in the season, so complain complain). I foolishly thought that maybe we’d seen the last of Nick last week (okay, not really, but I considered it for a hot minute) but Nick is back, and his storyline continues to have alot of that graphic violence that keeps upsetting my stomach. The cop who’s guarding him makes the mistake of taunting Nick, so we pretty much know he’s about to die. Sure enough, Nick not only knocks him out with a bedpan, but then stomps his head to a pulp and leaves him moaning incoherently on the floor in a puddle of his own blood. Again, not really my cup of tea. Ewww. Off goes Nick to wreak more havoc. Donna should’ve shot him in the head instead of the leg. Back to Sam and Dean (yay! ), setting out on their tragic journey with the box on a trailer hitch behind Baby. 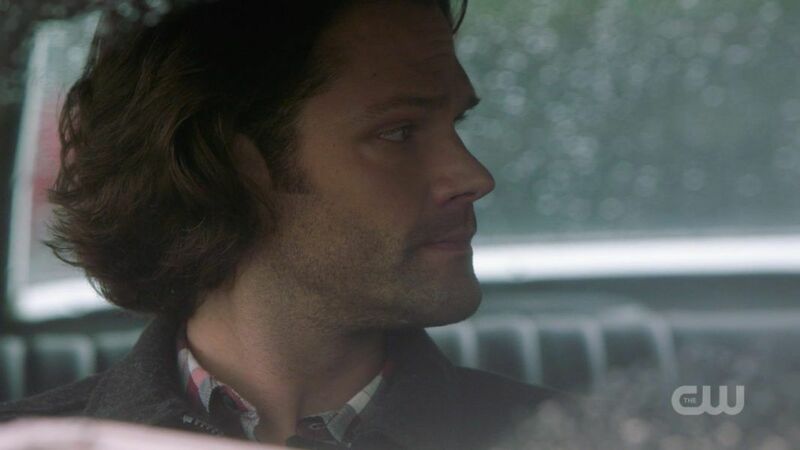 They have their second conversation in the car, as so often happens, Dean wanting reassurance that Sam is still with him in this and Sam trying to keep his word but having a hard time. 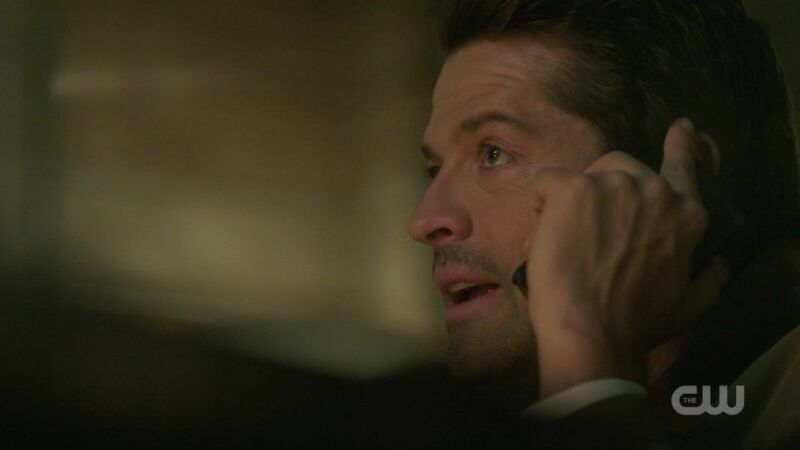 As soon as Dean walks away for a minute, Sam is on the phone with Cas – because of course he told him despite Dean not wanting to deal with anymore goodbyes. This was way too big to keep to himself, and besides, Sam needs all the help he can get. So far Cas has come up with nothing, alas. 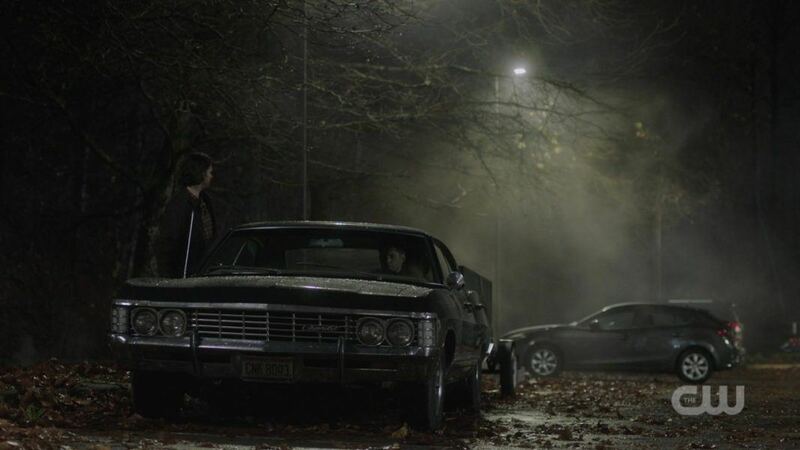 There are some beautiful shots of Sam and Dean in the Impala at night, always some of my favorites. The very first time we were on set, they were shooting a scene of the boys in Baby at night. 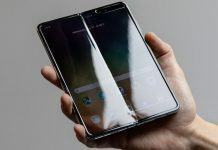 Serge Ladouceur offered to show us exactly how they filmed it, and we were so fascinated and so in awe that I think he must have wondered if we could speak at all. 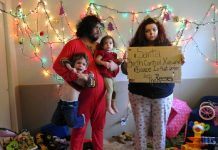 I’m still struck by the beauty of Baby and her boys from time to time, and this episode Serge and Tom Wright brought some of those. I’m teaching a graduate course on grief and loss this semester (and using lots of clips from my favorite show) so I was struck by how realistic both Sam and Dean’s behavior and emotions are considering what each of them is going through as Dean prepares to die. He’s trying hard to tie up loose ends, and of course most of what Dean feels guilty about and wishes he could make better has to do with his little brother. 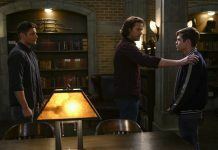 As Michael bangs away in his brain, Dean apologizes to Sam, saying he knows he wasn’t always the greatest brother to him. Sam, for his part, is both devastated by the reminder that Dean is about to die and protests Dean’s need to apologize. Sam: Dean, you were the one who was always there for me – the only one. 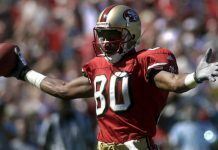 You practically raised me. Dean: I know things got dicey when Dad….I wasn’t always looking out for you like I should have been. He says that he always tried to keep the peace, but realizes that Sam as a child probably saw that as Dean taking Dad’s side. He also is still carrying a lot of guilt over those times he had to leave (like the amazing episode ‘About A Boy’) even though he was a child himself and it clearly was not his fault. He trails off, and my heart just breaks for both of them. For Sam, who probably did think that his big brother abandoned him from time to time, and for Dean, who still feels guilty about not being there for his little brother. 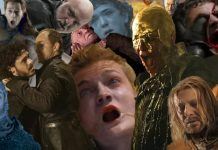 It’s been a while since we got some glimpses of the boys’ past, and the Show is richest when it goes there, giving us context and backstory for these characters we love so much. I don’t know how they’ll reconcile the problematic version of John that we hear about here and have heard about in the past with the ‘good dad’ that Jeffrey Dean Morgan wants John to be, but it will be interesting to see next week when he returns. Or a version of him anyway. 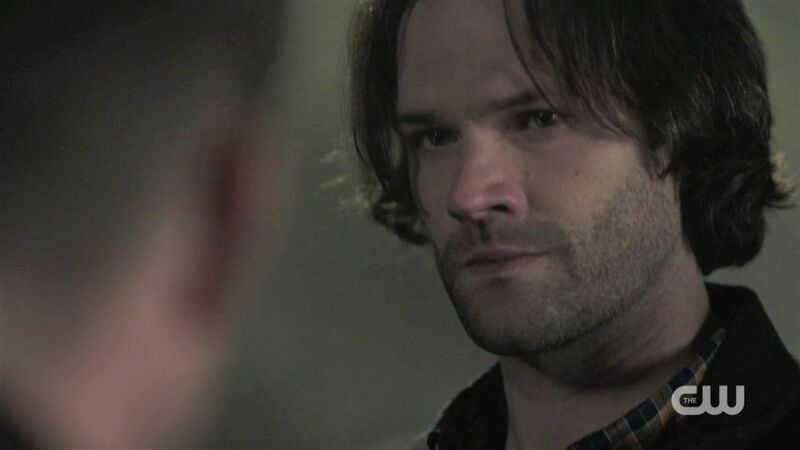 Sam, for his part, absolves Dean of all that guilt, and also gives us a glimpse into the ways Sam had to cope with the trauma in his childhood. Sam: I left that all behind a long time ago. I had to. 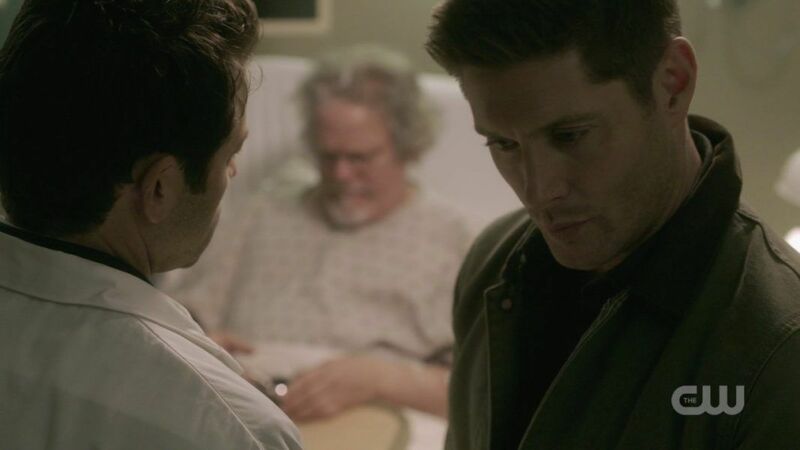 He asks Dean to spare him the “deathbed apologies” so he can keep going (hang onto his denial) and on they drive. On the way, Sam finds them a case, and Dean acquiesces, saying “one last case for the Winchester brothers” and making both me and Sam get emotional. Maybe because I was already feeling emotional or maybe because the Show had just been renewed but I realize it probably won’t be forever, it struck me that someday the Winchester brothers really WILL work their last case. I’m not sure how I’ll survive that, because just thinking about it now made me all wibbly. I even felt emotional about Sam and Dean in their fed suits, both of them thinking it would be the last time. Sob. Back to other storyline number one, which is that one last case, and more graphic violence as another innocent person is bound and murdered, with lots of blood and gory close ups. Ewwww. The Winchesters visit the latest victim’s twin brother, who is understandably devastated by his violent death. 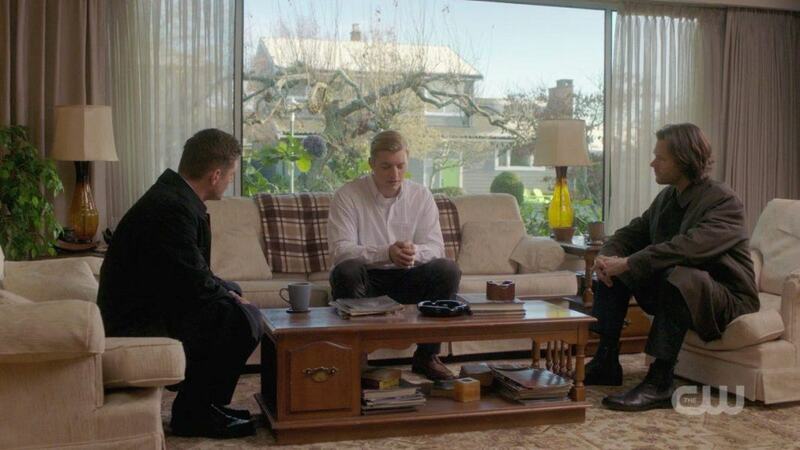 As Sam and Dean fold their long lean bodies into too small chairs, Eddie talks about his brother. Eddie: I can’t believe he’s gone….we were close… best friends. He was my big brother, born first by four minutes. I feel like I’m losing a part of myself, I never knew it could be this bad. 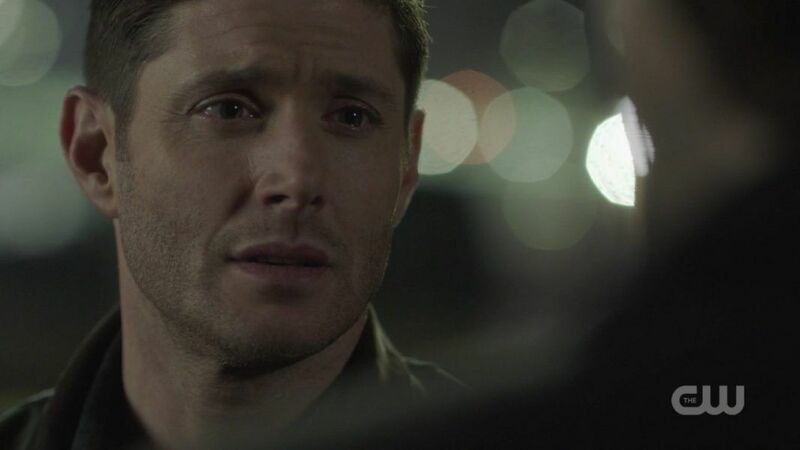 You can see by the look on Dean’s face that he’s thinking of his own little brother who will soon lose his big brother, and that the intensity of that pain isn’t lost on Dean. Or Sam. They get a clue about who the horribly violent killer is and Dean calls Cas to run the name by him. Cas: Dean!! It’s so good to hear from you! Dean: (confused and a little taken aback by Castiel’s unusual enthusiasm) Oh. Okay, good. 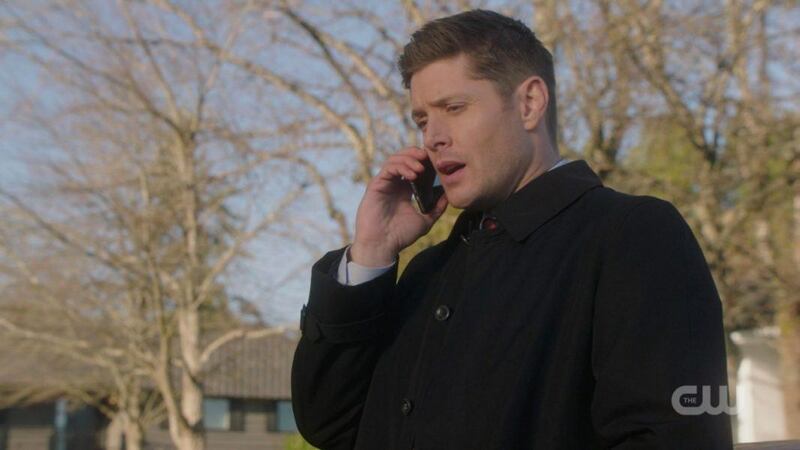 Dean quickly realizes that Sam has told Cas about his plan, and Cas does his best to talk Dean out of it. 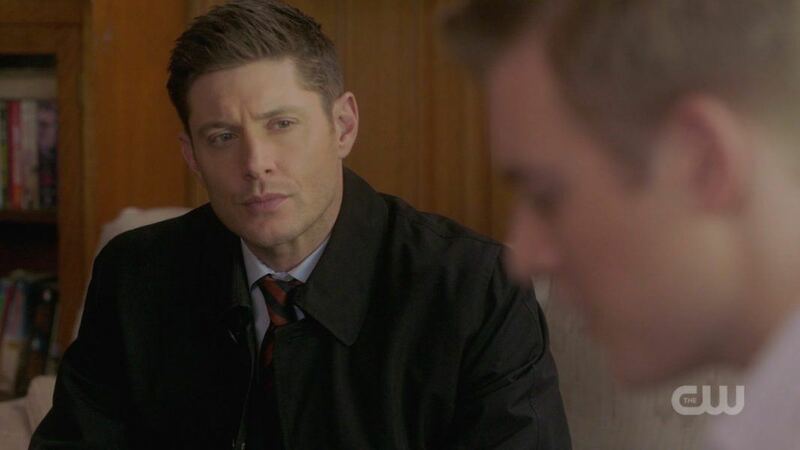 Dean refuses to listen, all the while casting glares at his brother for not keeping the secret. He does offer Cas an awkward goodbye though. Dean: Thank you. It’s….good to hear your voice. They pay Tony Alvarez a visit, figure out what he’s doing by reading the scrawlings on his wall because smart!Winchesters, and track him down in a dark abandoned warehouse type place (where all bad guys inevitably end up). More old school Winchesters with flashlights make me wibbly again, then the boys barely get there in time to save victim number three from another overly violent and graphic death, this time by being burnt alive. Ewwww. Sam is so angry he nearly strangles the guy, then when Tony Alvarez realizes that maybe he’s not doing God’s work after all, he shoots himself in the head, much to Sam and Dean’s horror. Another violent graphic death, and really Show, I’ve had enough! Together with Castiel, Sam and Dean figure out that because poor current prophet Donatello (Keith Szarabajka) is sort of in between dead and alive, the next prophet is being called up but is also somehow distorting what they should be doing. Hence all the overly violent graphic murders. 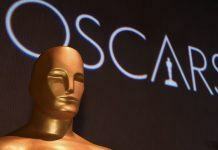 And with Tony Alvarez gone, the next prophet will probably do the same. 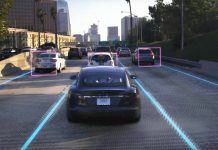 Sam: How do we end this? Dean: (sadly) You know how. I felt so bad for Donatello, and was really angry at Cas for what he did. I get that he felt like it was what had to be done, but that’s always the justification and in this case, it really bothered me. Poor Donatello. 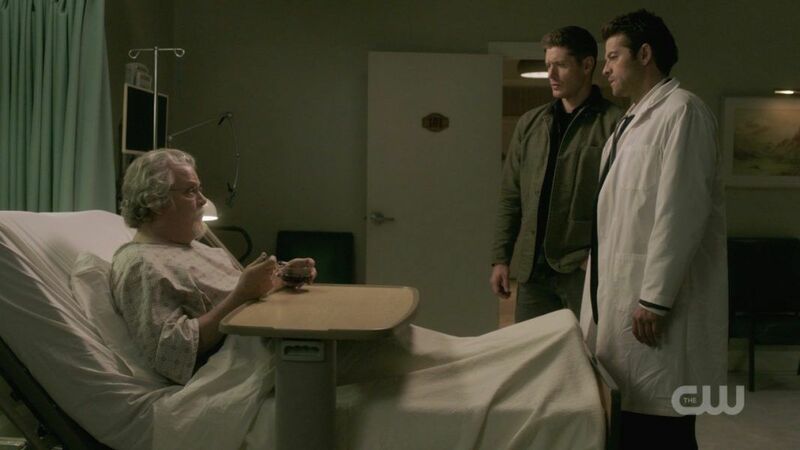 Sam and Dean head to the care facility where he is, asking the physician in charge to pull the plug on the okay of “his nephews”. Doctor: Sometimes letting go is the right choice. Castiel beats them there, confiding that he feels guilty about what happened too, which makes me feel a bit better. 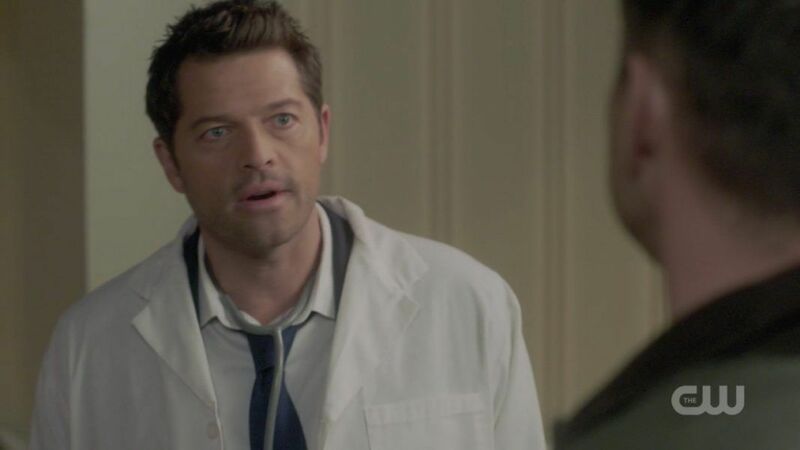 That also means we get Cas playing doctor. Dr. Novak aka Cas: I know them. Mr. Winchester and….the other Mr. Winchester. Me: I think I read that fic. They find out that Donatello has been “babbling” lately and Sam goes in to investigate, leaving Cas the opportunity to try to talk Dean out of his plan. Dean protests that they’ll talk about it later and Cas snaps at him. Cas: According to your plan, there won’t be a later! He has a point, Dean. Dean: Cas, if you’re a friend, you won’t try to stop me. 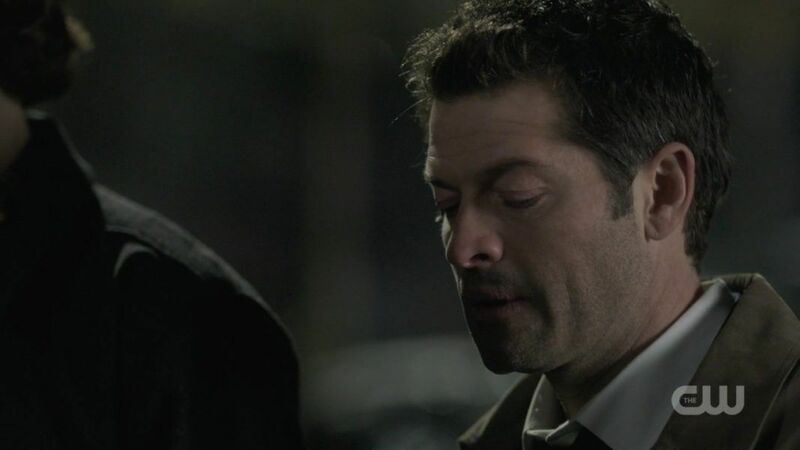 Cas: (angry and hurt) So this is goodbye? At that moment, Sam returns, and they find out that Donatello’s brain may be coming back online. Cas: I can fix him. If there’s a spark, if there’s any hope, then I have to try. 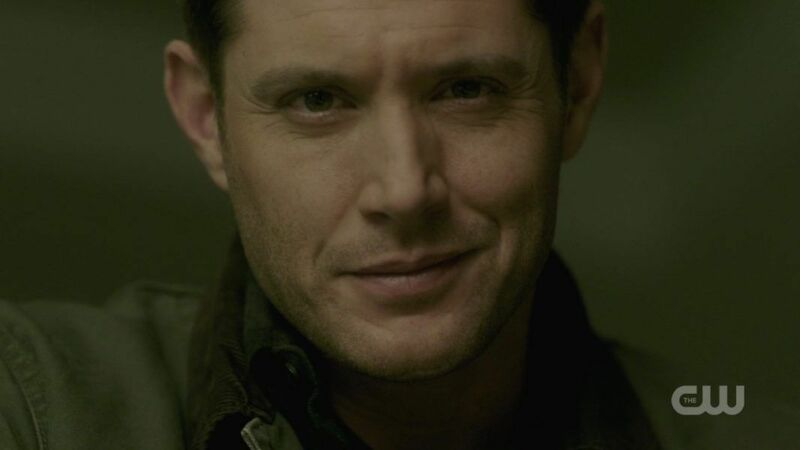 He looks at Dean pointedly. Cas: You taught me that. Dean hears him, just as he’s heard Sam, but he clearly feels like he has no choice, because he doesn’t back away from his plan. 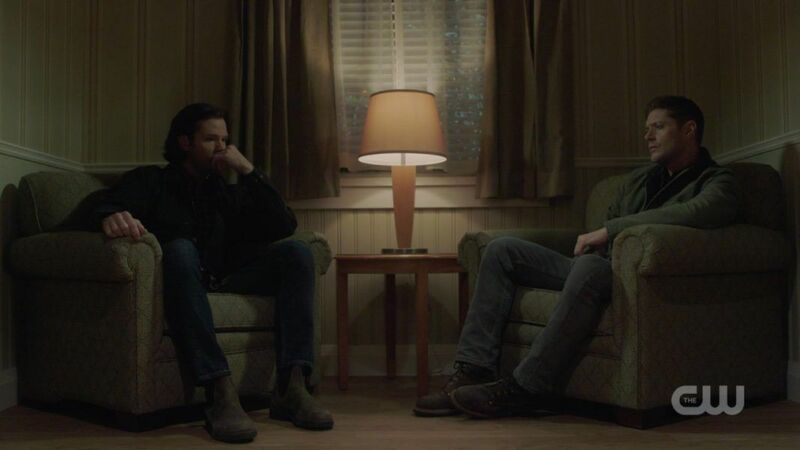 Sam and Dean sit in more small chairs and talk around the problem. Sam comments on how horrible it must be to be trapped in your own body, between life and death. He’s not just talking about Donatello, but Dean shrugs off the parallel, insisting there’s no other way. After a harrowing few moments when Cas attempts a cure and they pull the plug, Donatello awakens and seems more or less okay. (Dean Winchester is the first thing he sees when he wakes up and puts on his glasses, and gotta say, that is not a bad way to come back from the almost-dead). Dean (to the astounded physician): It’s a miracle! Dean (to Cas): Is he okay? Cas: Well, he has no soul. A tiny moment of humor in an episode that was 99% dark, which felt good. Meanwhile, in other other storyline, Nick returns to the house where his family was killed and is confronted with a ghost. Ghost (crestfallen): It’s Sarah. Your wife. 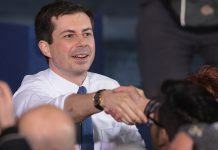 It seems that Sarah and Nick’s infant son are trapped there, unable to move on unless Nick rejects Lucifer once and for all. She begs him to do it, and he seems anguished about it, but ultimately says that he can’t. Sarah is furious, accusing him of “choosing Lucifer” almost like she’s talking about infidelity. Sarah: You chose Lucifer. You wanted him. You still do! You came here to find him, in the place where you became one with him. That reads really oddly, gotta say. 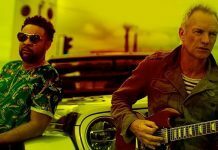 At the very least, Nick’s relentless pursuit and longing for Lucifer seem almost like an addiction that he feels powerless against – or that he doesn’t really want to fight. 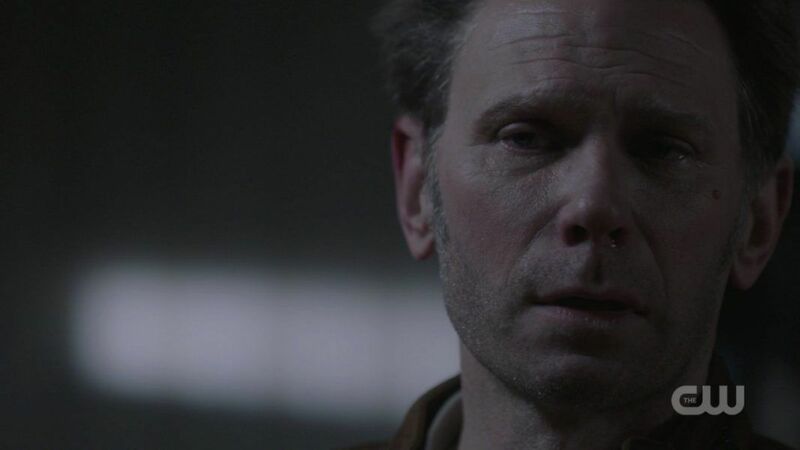 Mark Pellegrino always does a great job showing us Nick’s twisted emotional state, but I’m hoping that Nick is still around only so that Michael can eventually end up in his vessel and we can be done with both of them. Back to the main storyline. 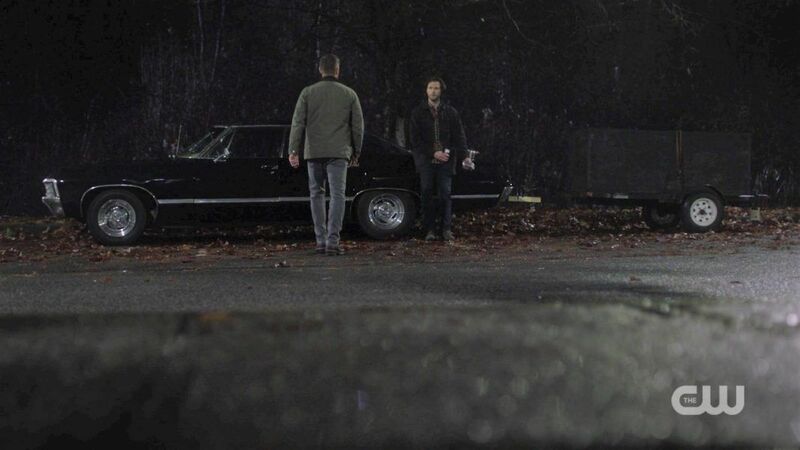 Cas stays behind to fill Donatello in on the history he mercifully does not remember, and Dean goes outside to find Sam leaning against the Impala. Like so often as an episode ends, Sam tosses Dean a beer and they sort of celebrate their win. 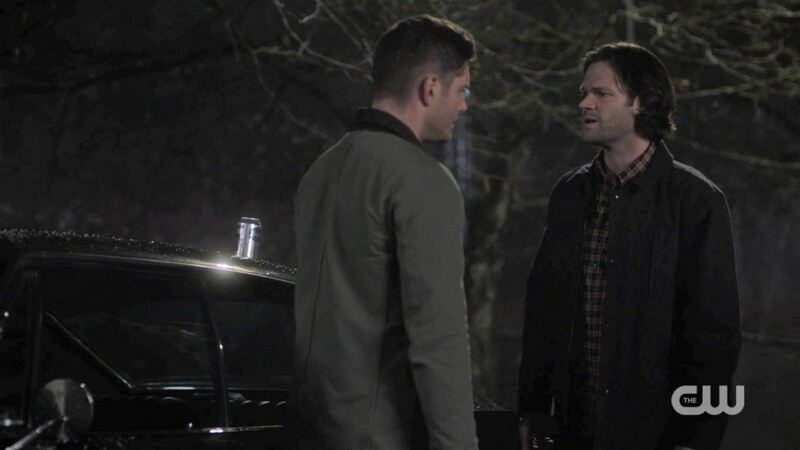 Except everything is different this time, because this is Dean’s last case, and Sam’s frustration and terror and hurt have reached a breaking point. 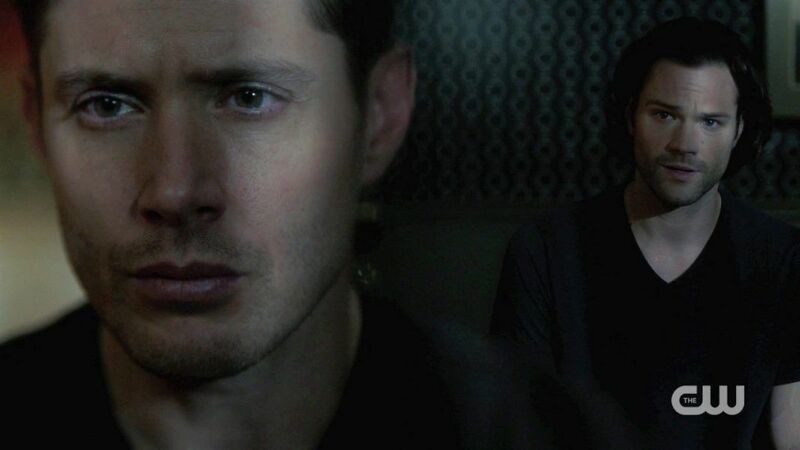 He’s tried everything he can think of to change his brother’s mind, and panic that Dean really will go through with this is starting to set in. 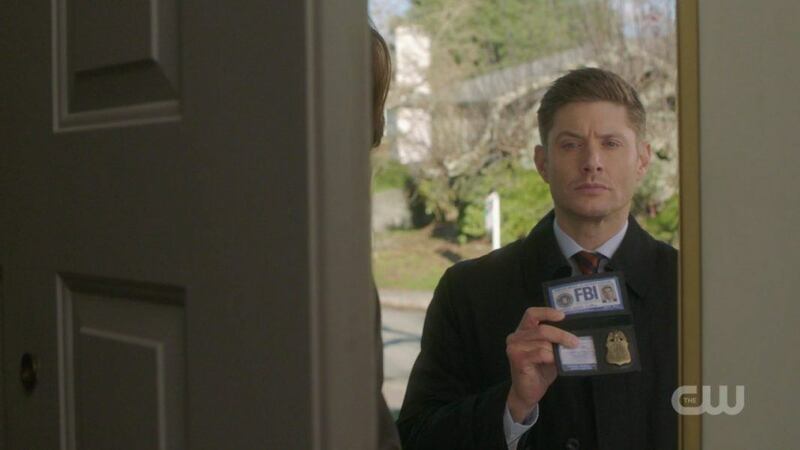 As soon as Dean references it being the last case, Sam snaps. Dean tries to say he’s sorry, and Sam whirls on him, unable to believe it. 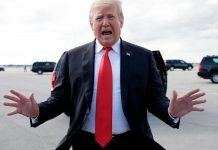 I think all of us have been there, when someone we love is doing something that’s incredibly hurtful to us, and they say “I’m sorry.” It’s impossible to hear it without some sense of rage. If you’re sorry, why are you doing it? Jared Padalecki was absolutely masterful in this scene. Like, throw all the awards at him masterful. 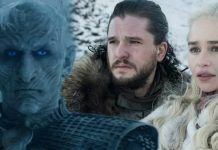 The entire episode, he has been crafting Sam’s slow relentless disintegration, his increasing horror and hurt and sadness and anger at what his brother is about to do. He tries so hard to do what Dean asked and go along, but it becomes more and more difficult as the reality gets closer. 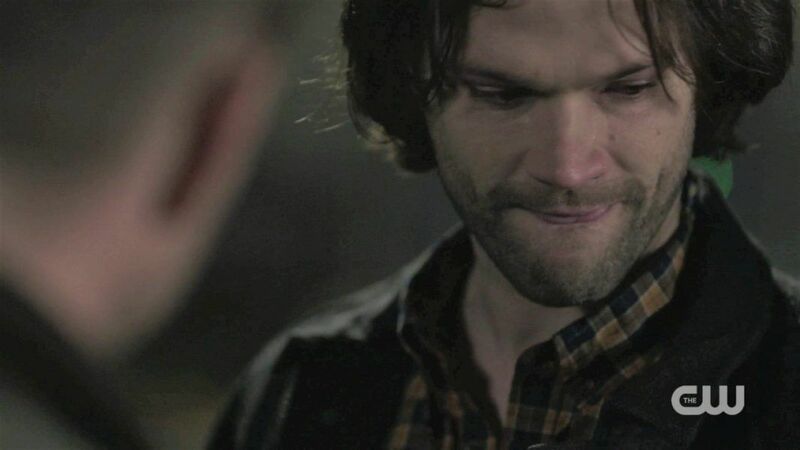 By the time Sam verbally attacks Dean in this scene, Jared has showed us the cracks in Sam’s defenses splitting open, and inside those cracks the intensity of pain there just took my breath away. Sam: Sorry? How sorry are you? Sorry that you fight to keep Donatello alive but when it comes to you, you just throw in the towel? Are you sorry that after all these years, our entire lives, after I’ve looked up to you, after I’ve learned from you, I’ve copied you, I followed you to hell and back. 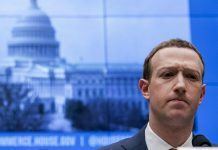 Are you sorry that it means nothing now? Sam: (practically spitting) You are! You tell me that I have to kill you, you’re telling me that I have to just throw away everything we stand for. Throw away faith, throw away family. 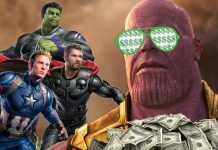 We’re the guys who save the world, we don’t just check out of it. Dean is almost as anguished as Sam, saying that he’s tried everything, that he only has one card left to play. Dean: And I have to play it! 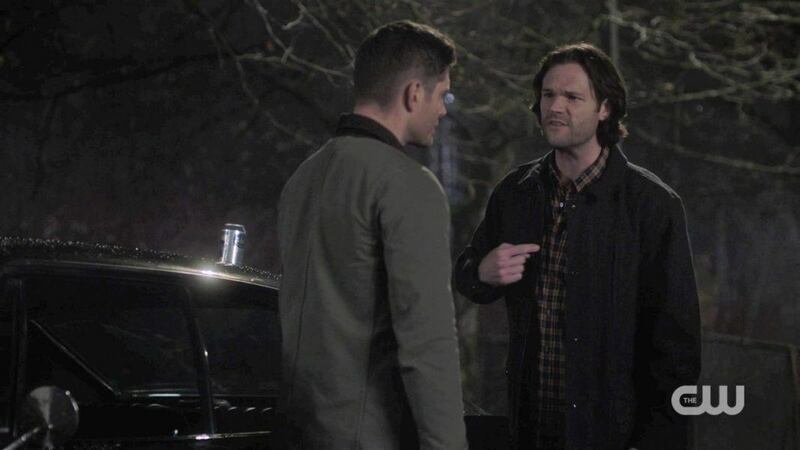 Sam is so enraged at Dean’s refusal to listen, and so desperate to get through to him, that he starts pounding his hands against Dean’s chest, like a two year old would when they’re at the end of their rope and nobody is listening to them. The gesture rang so true, seemed so real, and I don’t even know if it was scripted or not – Jensen/Dean reacts with surprise, glancing down like he can’t believe Sam put his hands on him – but the physicality of it carried the scene, made it a thousand times more intense. Sam: You have one card today. But we’ll find another tomorrow! But if you quit on us today, there will be no tomorrow. You tell me you don’t know what else to do, I don’t either, Dean. Not yet, but what you’re doing now it’s wrong. It’s quitting! I mean, look what just happened. Donatello never quit fighting, so we could help him because he never gave up. He slaps at Dean again, and Dean just holds his ground, never raising a hand to slap back or defend himself. Sam: I believe in us, Dean! I think everyone who was watching heard the “never quit fighting” line as a parallel to Jared’s real life campaign to encourage fans to “always keep fighting” in the face of depression and suicide. 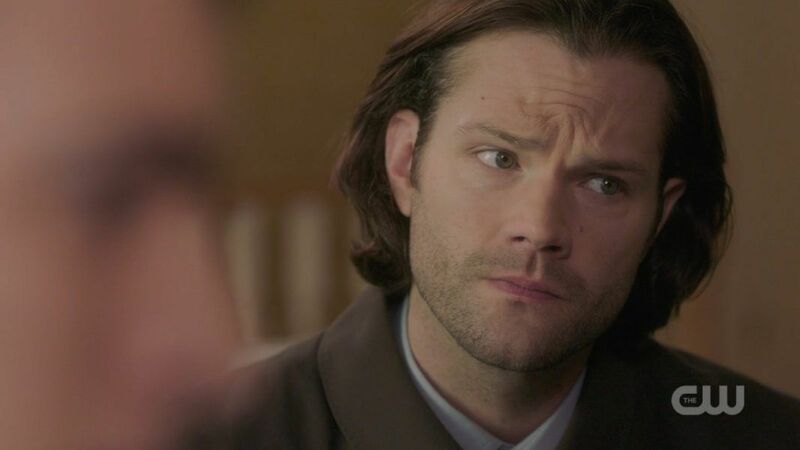 Instead of throwing me out of the scene, it just made Sam’s anguish more real to me, and maybe let Jared invest even more genuine emotion into Sam’s plea to Dean. 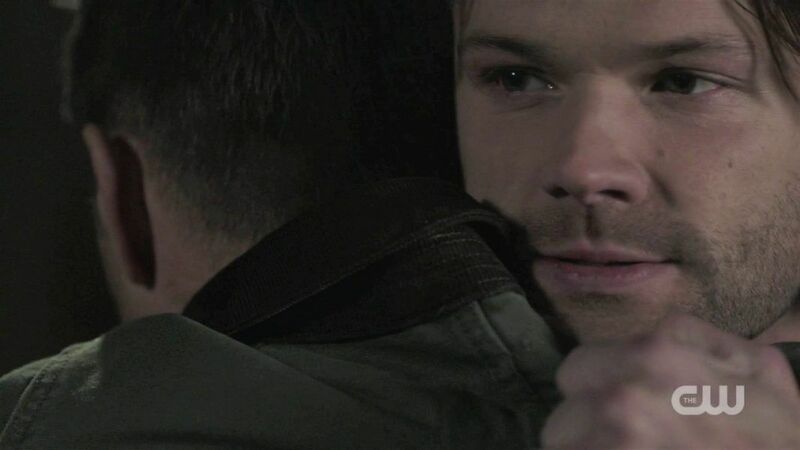 If you’ve read the very emotional chapter Jared wrote in ‘Family Don’t End With Blood’, you know how close he’s come himself to not being able to keep fighting, so the whole idea of Dean (who Jared and Jensen genuinely love at this point, fictional or not) giving up is incredibly hard to accept. 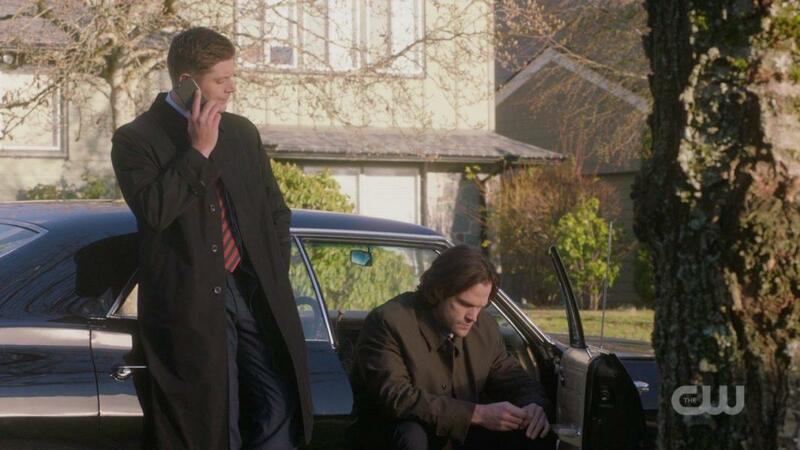 Dean doesn’t answer, and that pushes Sam over the edge. 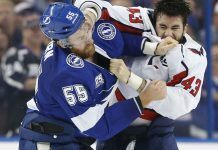 He punches his brother, every bit as hard and unexpected as Dean’s anger and sorrow-fueled punch way back in Season 2. Dean doesn’t make a sound, but Sam groans like it hurts him, like he’s the one being hit. Sam: (anguished) I believe in us! He raises his fist to hit Dean again, and Dean grabs him and folds him into his arms, saying “Hey hey hey” the way the Winchesters always do when the other one is hurt and they’re trying to make it better. 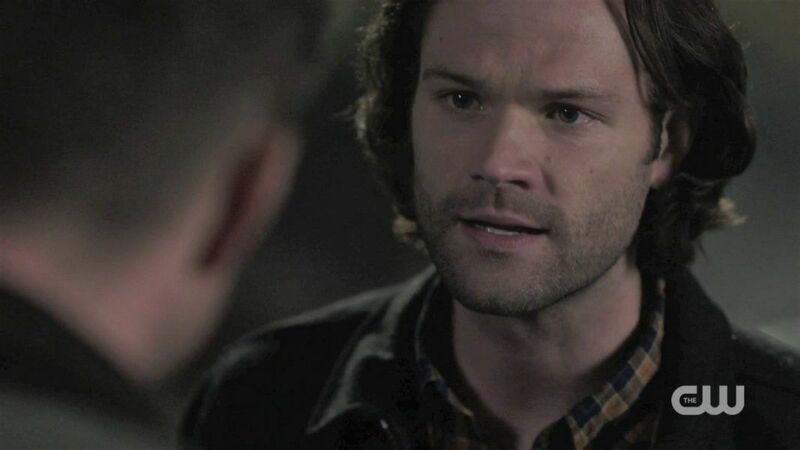 Instead of responding with anger or any sort of defense, Dean reads Sam’s actions for what they are – the physical expression of Sam’s overwhelming grief and impotent rage at losing his brother. 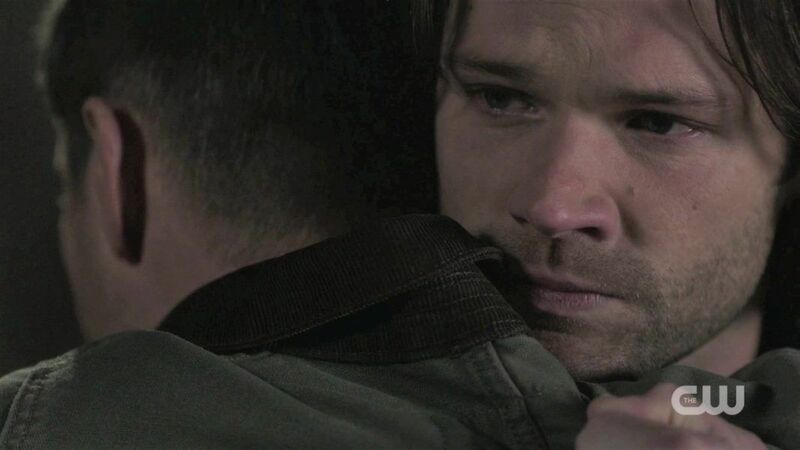 It’s worth saying that there is so much emotion between Sam and Dean in this scene and in this circumstance because they have lost each other before, and it has been unbearable for them each time. I know some people decry the codependence that characterizes the Winchesters’ relationship, but honestly, that’s the Show. That’s the reason it’s so powerful. Sam and Dean really can’t live without each other – don’t want to live without each other – and that’s what drives the entire story. 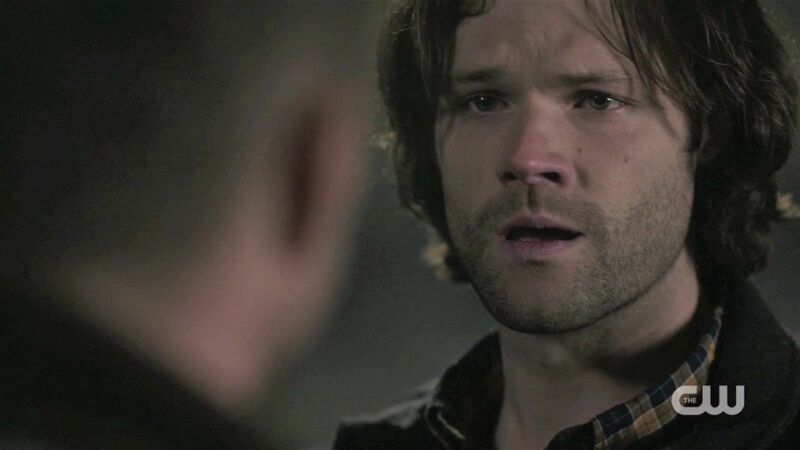 Sam’s tears are all the more painful to see because we know what he’s been through. We’ve watched him fall apart in Mystery Spot, seen him move heaven and earth to bring his brother back from being a demon or succumbing to the Mark of Cain. 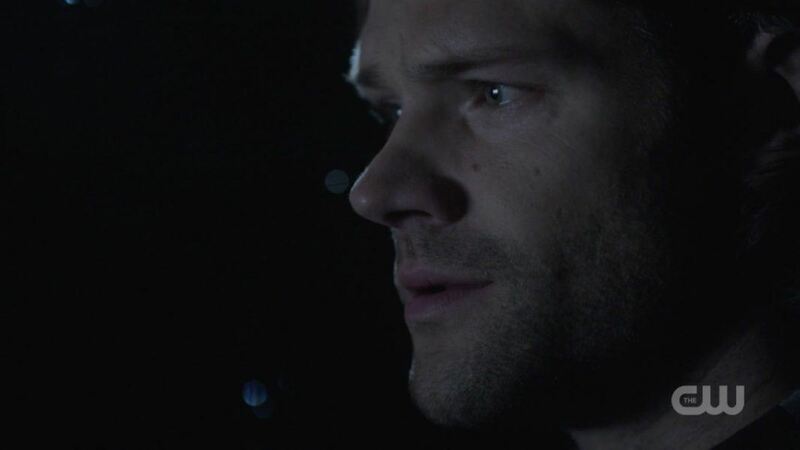 We know what it will do to Sam to lose Dean again, and so we get it – and that makes Sam’s pain something that I feel myself, in empathy and in sympathy. And god, it hurts. 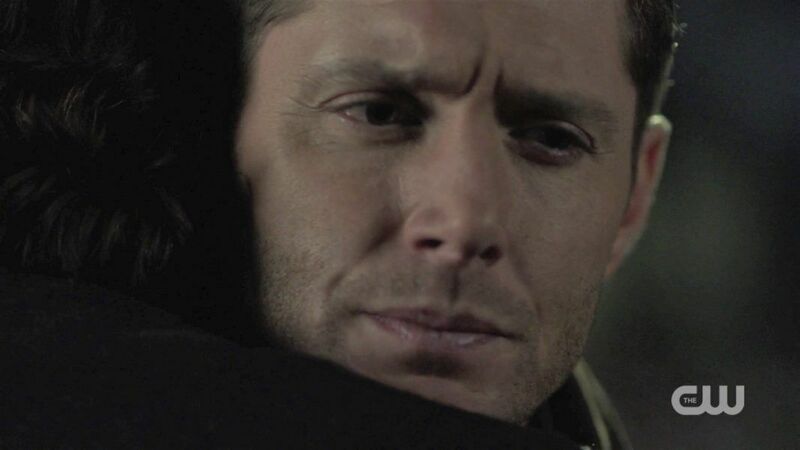 Dean holds his brother, and Sam abruptly stops hitting him and folds his arms around Dean desperately, almost burying his face in his brother’s shoulder. Sam: (pleading) Why don’t you believe in us too? The question and the broken way Sam asks it, the way he’s clinging to his big brother, clutching a fist full of the back of his jacket, and the tears shining in his eyes, all telegraph the child Sam was, the boy who only had his brother and who loves him like a mom and a dad and a best friend too. Someone posted that Sam and Dean always hug the same way and that Dean grabs Sam around the neck as though he’s still the taller one. 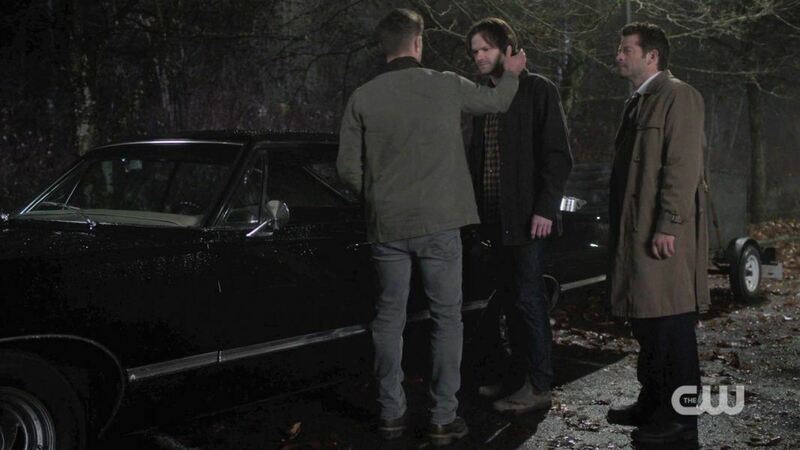 In this scene, it’s like he is – the way it’s blocked almost makes Jared look shorter than Jensen, making Sam look every bit the little brother pleading for his big brother to stay with him. Many fans commented that Sam actually looks like a much younger version of himself in this scene, so complete is the transformation into little brother. Dean holds out for a second or two, his struggle written all over his face, and then you can see the moment his resolve breaks. He closes his eyes, and I knew. And Dean knew too – that’s why he tried so hard to hide what he was planning from Sam, because Sam was the only one who could change his mind. Through my own tears, I dared to take a breath. Dean: (softly) Okay, Sam. Let’s go home. Sam can’t even believe it at first, his face incredulous. 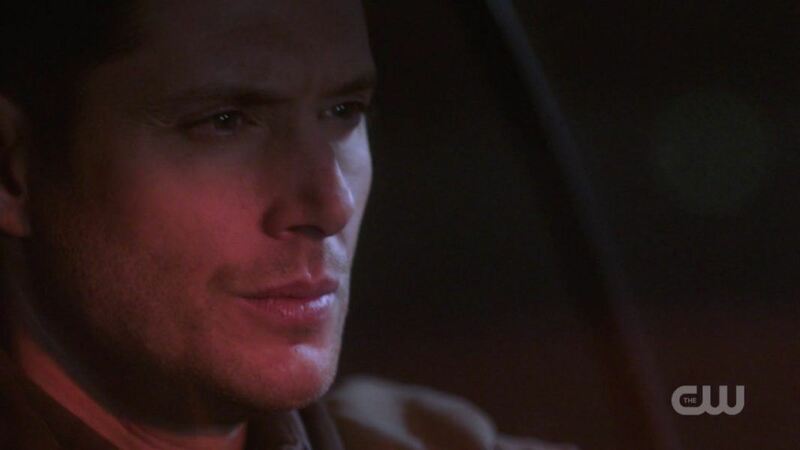 Dean pulls away, nods in reassurance. Dean: Let’s go home. Maybe Billie’s wrong. Maybe. But I do believe in us. Castiel walks up, and Dean nods to him too. Dean: I believe in all of us. I thought I could stop grabbing for tissues then, but oh no, Show had more for me. Dean tells Sam what he doesn’t want to hear, and both of them at this point are tearful. 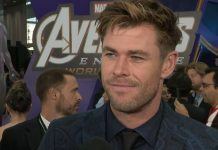 His voice breaks then, and he barely can get out the word, and how is it possible that their acting is so good and they don’t have all the awards?? Dean: You have to prom—ise me you’ll do then what you can’t do now. And put me in that box. My heart is aching so badly at this point I could barely stand it. Cas gives tacit agreement, and Sam, though he’s barely able to get the words out, finally does too. Sam: All right. All right. Dean: Now you heard me, let’s go home. 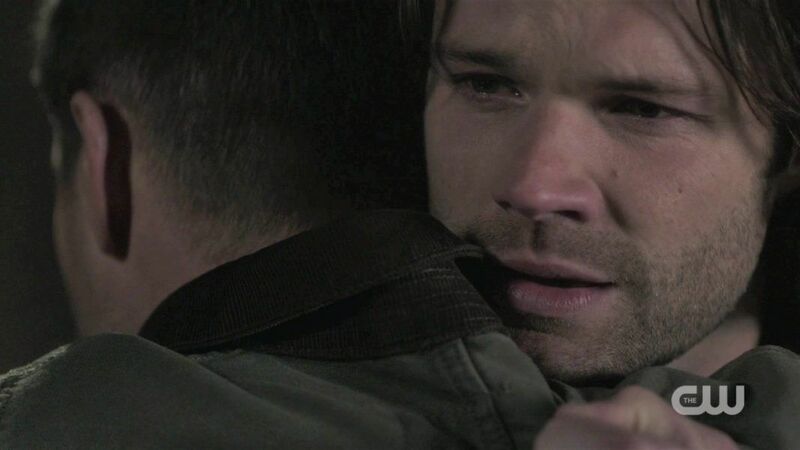 He steps forward, cups the side of Sam’s face in an effort to comfort his brother. Dean: Don’t hit me again, okay? My guess is that was an ad lib on the part of Ackles, but either way, it’s so Dean – he needs to defuse all that emotion that’s gotten way out of control. And that gentle pat seemed so much like a parent and child, like something that Dean does instinctively for Sam because he has been so much a parent to him, so much more than a big brother. I wonder what it cost Dean, to make that concession for his brother. 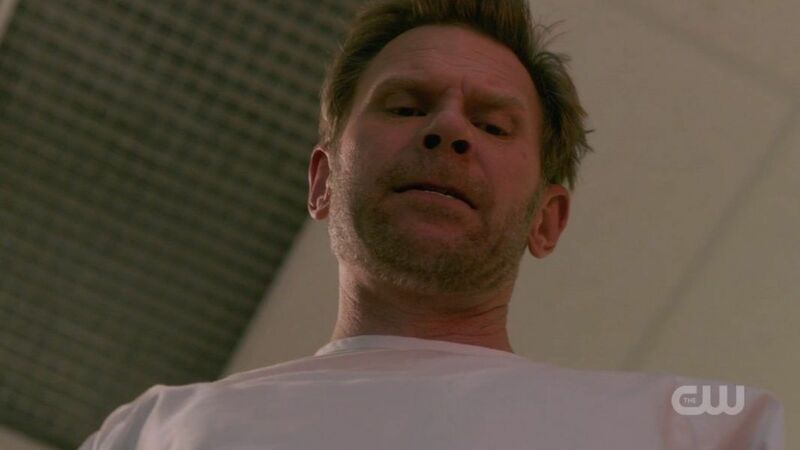 Michael is tormenting him constantly – much like when Sam had Hallucifer in his head night and day – and I wonder how long Dean can hold him off and keep functioning like a normal human being. I was worried a few times that he’d drive right off the road when Michael got really loud in there. There’s a gorgeous ending shot of Baby as Dean and Cas get in, and Sam walks around to the passenger side, stopping to cast a glance at the box on the trailer. And then we fade to…. White. Instead of a black screen, it’s stark white. Superwiki informs us that there has only been one other time that’s happened – for the episode Lucifer Rising. If that’s not ominous, I don’t know what is. I know this Show isn’t perfect. I don’t know why Michael could get back into Dean when the whole Gadreel possession story was explained so differently (and the Lucifer possession history too, for that matter). I don’t know why sometimes Cas has powers and sometimes he doesn’t. I don’t know why the AU hunters and beloved character alternate versions seemed like a good idea or why Melanie Mollie Meghan oh Maggie is leading them now. I don’t know why the first half of this season was so woefully Winchester light. I wish some things were different. 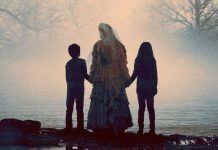 I wish I could like Mary Winchester. I wish Sam would talk about the time that Dean had to let him go and did, when Sam took Lucifer right into the pit with him to save the world. I mean, look how that turned out! But right now, after three episodes in a row that made me FEEL so much and reminded me why I fell in love with this Show fourteen years ago, I’m a happy fangirl. And next week? 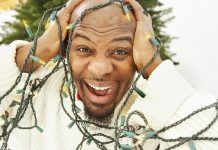 The 300th episode! I’m glad we got the news of a Season 15 renewal yesterday, because I’m sure as hell not ready to give up on Supernatural yet.